What: Road triathlon from Haslemere Leisure Centre, Surrey. Located on the edge of the South Downs National Park this is a gloriously scenic location to swim/ bike/ run! Enjoy a 400m pool swim, 20km road cycle and 5km mixed-terrain run. Join Team In Training Georgia to celebrate the kickoff of our spring triathlon season as well as welcome back alumni and people interested in joining the TEAM! 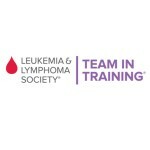 Team In Training (TNT) is the flagship fundraising program for The Leukemia and Lymphoma Society (LLS). It’s also the original charity endurance sports training program, and the only one dedicated to creating a world without blood cancers. TNT teammates fund groundbreaking discoveries in research and inspire personal discovery through training and community. Join Team In Training Eastern Pennsylvania to celebrate the kickoff of our summer run/walk and triathlon season as well as welcome back alumni and people interested in joining the TEAM! Join Team In Training at Hub and Spoke (3001 Fairfield Avenue, Bridgeport, Connecticut 06605) at 6:30pm on June 21, 2017 for a social hour and informational meeting. Join Team In Training (TNT) for a fun run/walk preview training! You’re invited for a short run or walk, to meet a Team In Training coach, and to enjoy a beer & mingle! Join Team In Training (TNT) for a fun run/walk preview training! 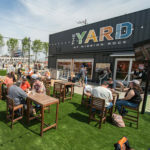 You’re invited for a short run or walk, to meet a Team In Training coach, and to enjoy a beer and mingle! Start your run/walk goals off on the right foot with our team! Join Team In Training Fairbanks for the first training of the season. This event is for registered Team In Training participants as well as anyone who is interested in the program. The Swim: The swim starts at Iberostar. The resort boasts a beautiful white sand beach which extends approximately 750 meters long and plays the perfect host for the 1500m international distance swim.